Poison Ivy can be very uncomfortable. If you’ve ever had it on your body you know how nasty it can get. Luckily, there are many DIY ways to remedy the situation and remove Poison Ivy from your body. The best thing of all is that you can do it using nothing but completely natural ingredients. There is an easy way to make a good recipe that will help you get rid of Poison Ivy from your skin and you can make it all by yourself. 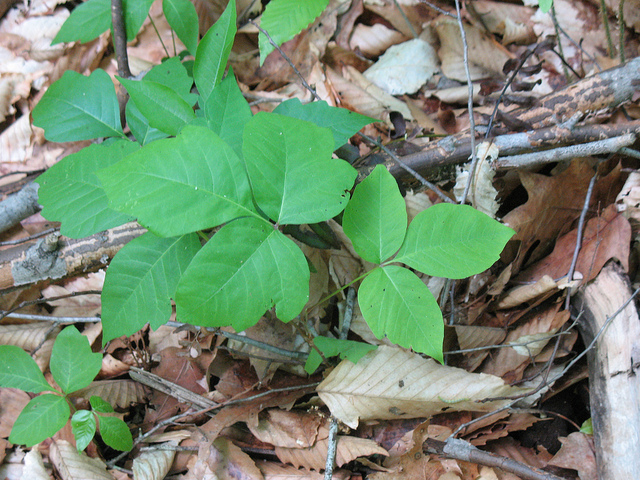 Poison Ivy is a common plant so accidents are bound to happen. Many kids get burned, but it’s not just a problem for youngsters. Many adults get burned, too. It is a common problem. Poison Ivy can cause itchy rashes, which is not fun at all. It may be a part of growing up and you may think that accidents always happen. While this may be true, it’s also good to know that it’s possible to make a completely natural, homemade remedy. This DIY recipe is very powerful and effective. It will sure impress everyone! The first thing you need to do is to gather all the supplies. Those who are familiar with using herbs know it as “wildcrafting”. It basically means going out and gathering fresh herbs all by yourself. It is not as difficult as it sounds. You just need to know where to find the herbs and how to gather them properly. To make your homemade Poison Ivy recipe, here’s what you’ll need 3 powerful herbs. You need to know where to find them and how to store them so you can use them for making your Poison Ivy recipe. Plantain. This is an herb you can find almost anywhere. The only exception are very cold regions. This is one of the top 25 most commonly used herbs. It can do wonders for itchy scratches like the ones you will get from Poison Ivy. This plant comes in 2 varieties: broad lead and narrow leaf. Both of them work the same – they just look a bit different, so you can use either. It’s easy to identify this plant because it has the leaves shaped like ovals and grouped together in groups of 8 to 15. They have about 6-7 large veins that run vertically up the back of the leaf and very stringy roots coming out of the end of the leaves. They’re bright green and the base of the plant, just above the ground, is deep reddish-purple in color. This plant produces long, skinny shoots covered in seeds during the fall. This plant’s leaf is very effective against Poison Ivy. It has drying properties and it helps reducing the inflammation caused by the Poison Ivy. It will help soothe the skin, dry the weeping up and reduce the rash. Jewelweed. This is a beautiful and mysterious plant from the impatient family. It can grow anywhere between 1 to 5 feet in height. It typically grows in shady, moist areas, usually in pairs. This is a very delicate plant, with thin leaves that look silver under water. It has a juicy stem and shallow roots. It produces bright orange flowers in late summer. Later in the year the plant gets covered in tiny seed pods that pop open and spread the seeds everywhere when you touch them. This is why they got their folk name: “touch-me-nots”. You will find them growing along creek banks and moist hillsides in great number. This plant is great to remedy itchy rashes such as Poison Ivy and stinging nettle reactions. It is believed that the juice of this plant has a cortisone-like effect that will help relieve the inflammation that goes along with itchy rashes. Aloe vera. This is a great plants that’s surprisingly easy to grow. It requires very little water and it can be used for many different things. This is a must-have ingredient against the Poison Ivy rashes. To gather Aloe vera, cut off a fat piece of the plant, slice it down the center and scrap the gel out of it with a spoon. If you don’t want to grow this plant yourself, you can easily buy organic gel at a store. However, make sure it’s organic! This plant is great for heeling so it will absorb into the skin very well. It is made to take other chemical properties into the skin with it. Those are all of the ingredients you need to create a powerful Poison Ivy remedy. To make your Poison Ivy remedy out of these supplies, all you need to do is to mix them together. Take Plantain’s leaf, Jewelweed’s juice and mix it with Aloe vera gel to create a remedy. It’s not really important whether it’s solid or not. If you don’t want to go hunting for the ingredients you can actually grow all of these plants in your backyard. This way, you will always have ingredients ready to make an effective remedy against Poison Ivy rashes. Not to mention it also works for many other types of itchy rashes!